Springtime, a historic boating village, a great array of exhibitors, and visitors from ten states all make for a great Oriental In-Water Boat Show. Oriental’s annual In-water Boat Show has grown exponentially since its beginnings in 2009. The 2018 show drew over 100 exhibitors from as far away Hampton, Virginia, Fort Lauderdale, Florida, and Bryson City, NC. In addition to nautical goods and services, dealers and brokers brought in boats on land and in the slips at Oriental Harbor Marina, many of which were available for in-water sea trials. Based on the combination of number of vendors, number of boats, sales attributed and number of attendees, the Oriental show has become one of the largest and most successful in-water shows between Annapolis and Savannah. The 2019 show is scheduled for April 12-14. If you are a vendor and are interested in the 2019 show, contact show organizer Sam Myers 252-249-0228 or via email, director@orientalboatshow.com. 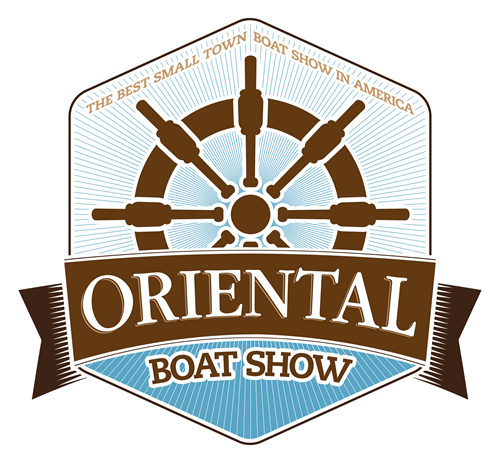 Interested in becoming a 2019 Oriental Boat Show Sponsor? The information is right here. Old school? The 2019 Oriental Boat Show Exhibitor contract can be downloaded at this link. Like to exhibit in the 2019 Nautical Flea Market? The 2019 Flea Market vendor form is right here.